. . . . and re-introducing Dr Jay Genswood. Two separate events, eighteen months apart, have set me on my current path. The cynical academic I had been, sipping the complimentary drinks in business class on the ‘plane flying to meet my old college buddy Doug Kitchen in the Negev, would simply not recognise the man who walked out of Ana’s office in an astounded daze one and a half years later . . . The robust wooden door before me bore the nameplate ‘Dr Ana Krino’, and as I knocked it sounded a comfortingly solid low note. I was greeted by a woman with Mediterranean looks, seemingly about my own age. She glanced at my face and an expression of superficial recognition quickly formed into a welcoming smile. She guided me in, and we spent a few minutes exchanging the usual pleasantries, as those whose only immediate common ground is a mutual acquaintance tend to do. The obligatory English offer of tea and biscuits accompanied our introductory conversation. Crisp spring air drifted in through the window, bringing with it the bustling hubbub of central London traffic. After a brief pause to sip from her teacup, Ana got to the point of our meeting. “Douglas Kitchen mentioned that you were in London for a conference. I was hoping that you might apply your particular expertise and experience to casting your eye over some research data?” She leaned across her desk, and passed me a loose set of papers. My particular ‘expertise and experience’, I mused. “These tests results look rather unremarkable”, I offered, wondering if this was another of Doug’s attempts to pair me off, or just a prank, but then again . . . . . Douglas . . .
“These are the spectrometric results of a liquid sample taken from a bronze age artefact recovered in Israel last year. The original find was made by locals – treasure hunters wanting to find their fortune. They wanted to cash in, so sent several objects to Jerusalem, no doubt to whet the appetite and open the cheque books of the Hebrew University. HU immediately dispatched a team to investigate further, and various items recovered as a result prompted them to consult with the British School of Archaeology out there, and subsequently my team here. 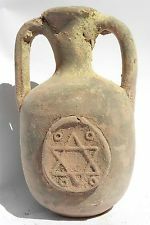 Their initial investigation revealed a liquid substance to be contained within that jar . . .” She motioned towards a crusty old amphora-style jar, sitting in a glazed cabinet at the edge of the room, which bore an image of the Star of David. “The vessel is very similar to the ones found at the Palace of Tel Kabri, near the coast of Upper Galilee, but Israel didn’t have the facilities to match those we have developed here, which would protect and preserve the contents, whatever they may have been, so . . .” Ana gestured to illustrate the jar finding its way to her office. Galilee . . . ancient Judea. A memory of petrified heartwood bearing Hebrew lettering flashed back across my mind from as if eighteen months were eighteen seconds. The Negev . . . . . Douglas . . .
“The University of Haifa had been able to analyse residues from the jars discovered at the Tel Kabri site – they revealed that wine they had contained had been mixed with different flavourings – terebinth resin, cedar oil, honey, other plant extracts – dull, I admit, but an archaeological first. When HU realised that they could trump that discovery with analysis of the possibly preserved contents of this jar, they wanted to make sure that no mistakes were made in its preservation and forensic analysis. Forensic analysis, which showed this red liquid with an aromatic scent featuring hints of berries, and a suggestion of cinnamon, to be simple, unremarkable yet unmistakeable, water.” She waved a phial of red liquid in my direction before passing it briefly beneath her nose. “No, nor the deeply satisfying flavour,” she replied. I froze. This had to be a joke. Galilee; ancient Galilee . . .
To my almost offended disbelief, she sipped at the phial. For an insight into events in the Negev 18 months previously, see Rings . . .
Strong and Courageous were brother and sister. Strong was very, very strong; and Courageous was the bravest dwarf in the kingdom. But the pair had not always been siblings. 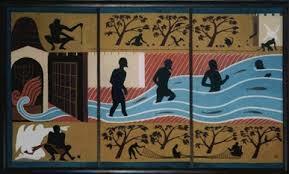 When they were very young, they had each been captured by slave traders. They were rescued by a Prince, whose name was “Wonderful”. He set them free, but was so deeply wounded in the battle to save them, that by the time he had brought them to the palace of his Father, the King, he had no strength left, and he died. The Prince’s Father was heartbroken at the loss of his son, but adopted Strong and Courageous, and so they became brothers in a new adoptive royal family. Three days later an amazing thing happened: Prince Wonderful was miraculously brought back to life by his Father’s love. He became stronger than ever before and took his rightful place, sitting on his own throne by his Father’s side in the palace. Strong and Courageous began to learn from the Prince and their Father, and soon they were ready to leave the palace on their first royal quest. the adventures of Strong and Courageous will continue . . . The following was written for Christian Flash Weekly Event #40 – please click through to see the other submissions. On the second day God spoke, the Son wept tears of joy at His creation. They fell and covered the Earth, as He saw that it was good. Then man came, he turned away, left and turned on himself. The Father’s heart broke, and the Son wept, for forty days and nights; until the world he wept for was washed clean. Man turned again, and the Son became man, and He wept as we weep – the tears of children needing sustenance, shelter and love. As Jesus grew he wept as we weep – the tears of loss of a friend, and of joy at his return. He prepared to leave Earth and on His last day, He wept in anguish – separation, from friends, family, and Father. Now through faith in Him, separation and death transform wonderfully to reconciliation and new life. And the tears flow as intended, from His everlasting joy. The following was written for Christian Flash Weekly Event #28 – please click through to see the other submissions.
. . . and it began. A home was born, which provided everything: warmth and comfort, food and drink, shelter and security; but though there were parts where the light shone, yet there were others where shadows were cast. The children who lived there wanted to cower in the shadows as much as bask in the light, and the home began to decay, bearing the scars of infestation and neglect. But the Father made a promise – a new home for those who chose it: those not too proud to return his love and obey his rules. A new home with no shadows, no marks of decay, no infestation; a new home and a loving family which would never go away. Some children dreamed of it, and told of it, of the new home and the father’s promise of it, and when the time came he reclaimed them and assured them they were . . .
To prove it the Father tasked his Son: to show all the other children the way to hold the promise, and how one day to find their new home. He told them stories and memories, and more about the Father than they had ever known. He showed them the Father’s love, and in return . . . they rejected him. They imprisoned him, and accused him, they punished him and tortured him; and after they had hurt him in every way a man can . . . then they killed him, and tried to bury the truth. The following was written for Christian Flash Weekly Event #27 – please click through to see the other submissions. Listen, Israel: Today you are about to cross the Jordan to go and drive out nations greater and stronger than you, with large cities fortified to the heavens. I crouched in silence, hiding in the darkness behind my eyelids. Adrenaline poured through me, and time slowed. A man’s voice was shouting, pausing, shouting . . . and then a gunshot rang out and my world accelerated into a wall of noise. Blink. A year later, the college vests of the athletes around me switched to university colours. The stadium had grown taller, louder. Entering the home strait, I began to reel in those mountains ahead. Blink. The stadium had transformed again – an eternal flame ahead of me, the unmistakable rings on the flag flying in pride of place. The other athletes now bore the colours of their nations, as I closed, drew level, passed, and dipped at the line. Written for this week’s Flash Friday challenge. Time. After hundreds of years, and generations of my family living in the same croft, climbing the same hills and cliffs . . . now was time for us to leave. My Ella would be the last baby born on this island. 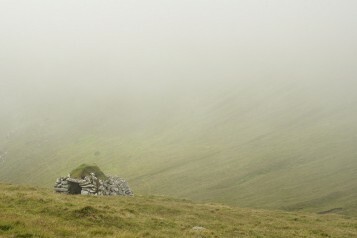 My kind-hearted, innocent, bonny wee St Ella of St Kilda would not know her home. We hadn’t taken care of it. We killed the land when we changed the way we farmed, and now it would no longer sustain us. The last of us left an open bible and pile of oats in each house, and boarded the boat for the mainland, our eyes laden with tears of repentance. 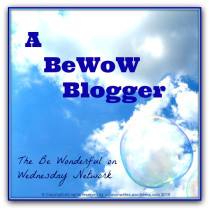 The following was written for Christian Flash Weekly Event #22 – please click through to see the winning submission, judge’s comments and this week’s challenge. On the contrary, we speak God’s hidden wisdom in a mystery, a wisdom God predestined before the ages for our glory. Douglas always had a talent for easily grabbing my attention, ever since we were freshmen. A petrified tree turning up at his Kadesh dig deep in the Negev desert? He also knew better than to waste my time, so asking me to bring along my research assistant Elijah proved that what he wanted me to see was worth paying for two airfares. “I won’t waste time with the usual pleasantries,” he began. “We unearthed this lone petrified tree trunk amid the ruins of the city – it seemed to occupy a position at the centre of what we assume to be a market square fronting the temple.” He looked agitated, anxious even. Hence Douglas’s need for a palaeo-botanist he knew and trusted: me. “Even the heaviest degradation would leave some internal structure intact . . .”, I began to muse. Another thing Douglas knew about me from old was my irrepressibly impatient need to begin processing problems immediately. “Why not direct to me to begin with?” I asked, with mild indignation. “I had to try my own staff first – it’s university policy to keep one institution’s name on the press release if it can be helped. My guys thought it was a fake which I had sent them as a practical joke. But, either because they thought it was such a very good fake that they had to be sure, or because I insisted so vehemently that it was genuine . 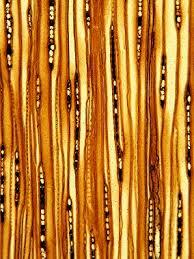 . . they decided to break policy and send it on to the STEHM microscopy team at the University of Victoria in Canada, to get a more detailed image. They got very excited when the Canadians produced this.” He opened a file sleeve and handed over a photo. “What resolution is this?” I asked, my pulse beginning to race. He handed over another photo, and to my surprise, this time gave it direct to Elijah. “Ehyeh ašer ehyeh.” Eli read. “Literally, it means, ‘I will be what I will be’ . . . but your Bible translates it as ‘I Am who I Am’.” It’s what God said to Moses at the burning bush. 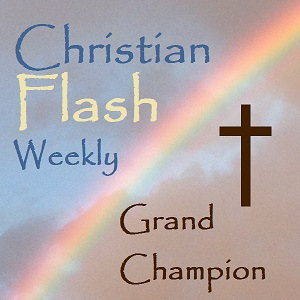 The following was written for the Christian Flash Weekly Event #21 – please click through to see the winning and other submissions. River awoke abruptly. Light streamed through the gaps between her drapes, and dazzling patterns danced across the wall as it reflected off her favourite glass ornament. Her skin felt clammy, and her heart raced. The memory of her dream remained fresh in her mind. Her mind’s eye held the after-images which replayed themselves in the waking world. She had been lying peacefully on the floor at the centre of the church, her face warmed by the sunlight shining through the windows. Slowly her body lifted upright, and she glided toward the large double doors which revealed the outside world. As she approached, she felt herself begin to separate into two distinct entities. One River left the church and roamed the surrounding streets, singing to the people she found; the other remained inside the church, steadily growing taller and wrapping up gifts addressed to the homes around the church. She’d had similar dreams before, but now she understood. She was ready to face the tasks today would bring. God was both the source and the object of her faith, and where the world prompted fear, following His will would uphold her in fearlessness. For River, today truly was a new day. The following short story was my rule-compliant entry in Christian Flash Weekly Event #20, after the earlier ‘Waiting’, and it was judged to be the winning submission (!) – so thank you to Christian Flash Weekly’s host, Charles W. Short, and thank you in particular to this week’s judge, Whitney L. Schwartz. Please click through to see judge’s comments on all of the submissions, and this week’s challenge. I remember the first time I heard Dr King’s ‘Mountain Top’ speech. I was no longer a child, but not quite a young man. I was naive, and impressionable. I didn’t know, and I didn’t want to know who God was. Yet still I was moved: moved by Dr King’s passion; by the plight of the African-American community; moved by the civil rights movement’s untiring ambition for change and a better future for the little black boys and girls and little white boys and girls of these United States. I was stirred, and I was inspired. 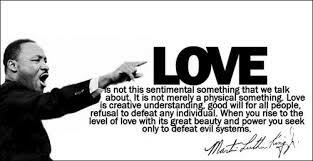 Dr King spoke to my rebellious nature. I was shocked and sickened (we all were) at the dreadful news which broke the next day. Not so many years later, God found me, and thankfully I no longer had the will to run for a hiding place. As I submitted to Him, I began a new chapter of a new adventure, a new season in a new, more meaningful life which it would take me a lifetime to even begin to understand. That’s the beauty of God’s mystery: each time I think I understand, He takes me to a new time and a beautiful new place; a new revelation of Him. It took some time, but eventually I realised that Dr King hadn’t just been speaking to my rebellious side, or maybe that my rebellious nature wasn’t as simple as all that. We are all rebels at heart – we all rebel against authority; we have all rebelled against God: that is our sinful nature. The part of me that wanted to climb to the mountain top that day wasn’t the anarchist rebel, but that best part of me: the part which cries out at injustice, which cares that there is a difference between right and wrong. That’s all well and good, but without love, without the love for my God, and for my fellow man, those cries against injustice were just hollow. It was God who gave my righteous anger meaning. I used to want to live a long life, but then I began to understand what I really craved was to live a significant life. Longevity has its place, but it is relative – some taken young have lived more significant lives than others who reach beyond three score and ten. Significance comes from who we are in Jesus, not what we do: when we are in Jesus, when His Spirit lives inside us – wow, the world better watch out for how significant we can be! I wish it hadn’t taken me so long to learn as it has done, yet I’m grateful that I’m still learning. Sometimes I wish I had someone to look up to earlier in my life to help me understand the truth which I took the long route to reach. But then I wonder if my journey would have been devalued in some way if I had found that short-cut. Maybe some lessons really are best learned the hard way, because then they stay with us. But I’m not concerned about that now. I just want to do God’s will; and His will is that I tell you this story, that I give you this steer – towards the most beautiful person you will ever know. He has allowed me to go up the mountain top Dr King spoke of, and in my dreams I looked over and saw that Promised Land. I saw and I believed: we, His people, have a Promised Land. I know that I have a place amongst His people, and I want you to be there too. You’ll have lessons to learn of your own, as I had, but you need to know the difference God has made in my life – never, ever take his grace for granted. I want you to know that I’m happy tonight. I’m not worried about anything. I have nothing left to fear, certainly not death. I have lived that craved life of significance because Jesus lives in my heart. As the man said, “Mine eyes have seen the coming of the glory of the Lord”, and now I am ready to go to Him. Shed only tears of joy, child, when I am gone – I am going home to be with my Lord and Saviour, and I pray you’ll see me again, either when He returns, or when your time comes to be called to Him. 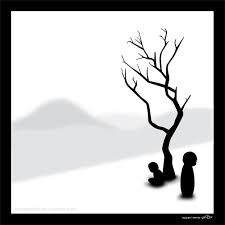 The following was written for the Christian Flash Weekly Event #20 – please click through to see the eligible submissions (this is ineligible for the event itself as it borrows its characters and setting from the play ‘Waiting for Godot’ by Samuel Beckett). “How long have we been waiting? “Well I’m sure I don’t remember. I’m not even sure that I remember why we are waiting for Him? The two paused in a moment’s silence. “The buds are breaking open! I don’t remember ever seeing colours like that! The two friends enjoyed the scene in beguiled silence. “Will it ever be our time, Didi? Fortune and Glory . . .